Scandic Sjofartshotellet is located in the vibrant district of Sodermalm, only 5 minutes walk from Stockholm Old Town. It offers an organic breakfast, free Wi-Fi and a rooftop terrace with city views. 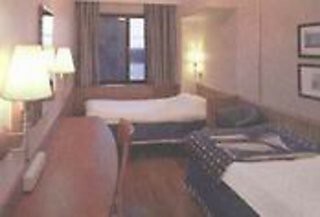 The rooms of Scandic Sjofartshotellet have wooden floors and maritime decor. Each room includes a work desk and a relaxing armchair. Bathrobes and kettles are provided in some rooms. The Lighthouse Restaurant offers traditional Scandinavian and international dishes for lunch and dinner. Fair trade coffee, chilled beers and snacks are served in the Lighthouse Bar & Coffee Shop. Guests at Hotel Scandic Sjofartshotellet enjoy free access to the relaxation area, which includes a sauna and a fully equipped gym. The Djurgarden Ferries connecting to the Grona Lund Amusement Park and the popular Vasa Museum are reached within 10 minutes walk. The Slussen metro station is just 100 metres away.